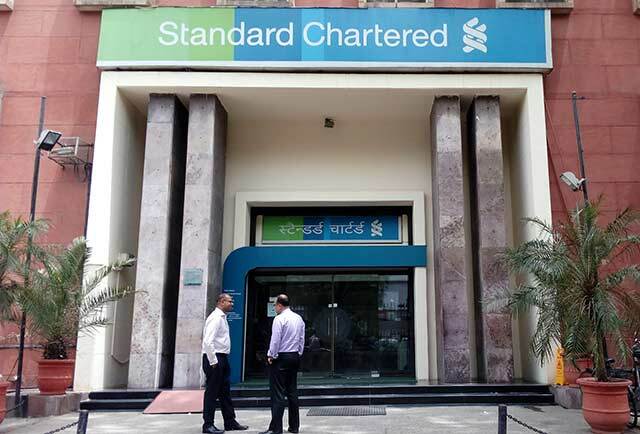 Standard Chartered Bank (SCB) has filed a criminal complaint with Economic Offences Wing (EOW) of Maharashtra Police against Mumbai-based ABG Shipyard and its promoter and chairman Rishi Agarwal for allegedly cheating and siphoning off money worth Rs 200 crore, said two people familiar with the development. SCB filed the complaint on Friday, said one of the persons cited above on the condition of anonymity since he is not authorised to speak to the media. According to the complaint filed by the Indian subsidiary of the British lender, ABG Shipyard sought a short-term loan of Rs 200 crore from the bank in April 2012 for a month to be used to build four vessels and extended a corporate guarantee against the loan. The company also issued three cheques worth over Rs 66.66 crore each along with indemnity bonds to appear as bona fide loan seeker, the bank said. However, when the firm failed to repay the money, and the bank tried to encash the cheques, it could not because the company's accounts were either blocked or had insufficient balance. In addition to the company’s chairman, the complaint also names two directors as well as chief financial officer as co-conspirators. “The accused persons continued with the charade of building SCB’s trust and buying time by executing the indemnity bond, pledging shares and issuing cheques, they knew will be dishonoured,” the bank said in the complaint. “The accused persons conspired to cheat SCB and misappropriate the short term loan amount of Rs 200 crore in the aforesaid manner,” it said. The bank filed the complaint through law firm MZM Legal under Section 120B (criminal conspiracy), Section 403 (dishonest misappropriation of property), Section 406 (criminal breach of trust), Section 420 (cheating and dishonesty) and Section 34 (an act done by several person in furtherance of common intention) of the Indian Penal Code. ABG Shipyard has been struggling to pare debt and raise further funds. Recently, it decided to sell off its subsidiary Western India Shipyard Ltd. When contacted, Zulfiquar Memon, managing partner of law firm MZM Legal, declined to comment on the matter citing client confidentiality. Email queries sent to SCB and ABG Shipyard did not elicit any response. Senior official at EOW also declined to comment on the complaint. ABG Shipyard, the country’s largest private sector shipbuilder, has a debt of around Rs 16,400 crore on its books and has already undergone corporate debt restructuring (CDR). As part of the process, its lenders were allocated compulsorily convertible preference shares (CCPS) in March 2014. The 22-lender consortium -- led by ICICI Bank -- had proposed acquisition by converting the debt into equity which will allow the lenders to take control of the company's management. The CCPS were converted into equity as per a formula suggested by capital market regulator Securities and Exchange Board of India (SEBI), by taking average price between February and July this year which stands at around Rs 41 a share. Earlier, the lenders had initiated strategic debt restructuring (SDR) to convert its entire debt into equity. However, the shareholders were unable to pass the resolution regarding the same since the statutory deadline of 210 days under which the SDR was supposed to conduct lapsed. "The board of directors had decided and approved, inter alia, divestment of its subsidiary Western India Shipyard and authorised executive director and other company officials to invite suitable bids from the prospective investors and negotiate the deal, including the best price, terms and conditions with them," the company told BSE. The announcement came after ICICI Bank’s decision to acquire 11%, by converting debt into equity in the financially troubled company on October 5. Overall, the lenders have 49% stake in the company and are actively scouting for an investor to sell their stake. Public sector banks State Bank of India and Punjab National Bank also have converted debt into equity and holds 7% per cent stake each in the company. The private equity arm of Standard Chartered had previously made a profit by exiting ABG Shipyard. In June 2011, Standard Chartered Private Equity and Merlion India Fund completed their exit from ABG Shipyard by selling over a 6% stake in the company for Rs 114 crore through open market transactions. While Standard Chartered Private Equity sold all of its 5.41%, Merlion (a joint venture between Standard Chartered Private Equity and Singapore’s sovereign wealth fund Temasek) sold its remaining stake of a little less than 1%. Globally, the shipping and shipbuilding industry is going through a tough time with little sign of revival due to weaker demand and an overall slump in trade activity.